Some people are Flannel Fans. No, no, not me. My dear husband can wear whatever he likes, of course. But he knows his life will be a happy one if he stays away from the flannel. He has wisely decided to save his one flannel shirt for only the most manly of occasions, such as working on the basement and brewing beer. 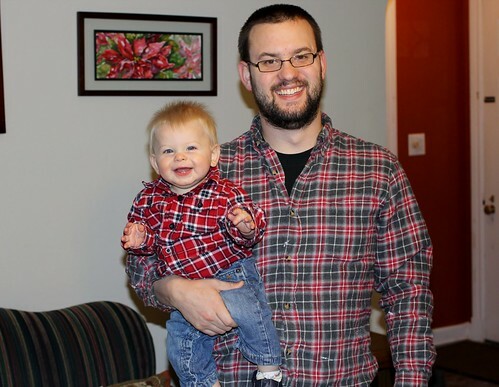 Judah and Luke have several flannel shirts. Don't look at me, most of their clothes are hand-me-downs. I decided to keep two flannel shirts for each of them just to make Sam happy. Just look at those grins. Apparently its a guy thing.